U.S. Rep. Mike Pompeo calls for an end to a wasteful federal economic development agency. 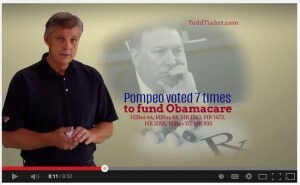 If you think a proper function of the federal government is spending your tax dollars to build replicas of the Great Pyramids in Indiana or a gift shop in a winery, you’re not going to like legislation introduced by U.S. Representative Mike Pompeo, a Republican who represents the Kansas fourth district, including the Wichita metropolitan area. Others, however, will appreciate H.R. 661: EDA Elimination Act of 2015. 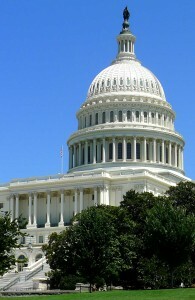 In the following article from 2012, Pompeo explains the harm of the Economic Development Administration, which he describes as a “politically motivated federal wealth redistribution agency.” Pompeo had introduced similar legislation in the past, and this bill keeps the effort alive in the new Congress. In his article Pompeo mentions the trip by Assistant Secretary of Commerce for Economic Development John Fernandez to Wichita. This was in conjunction with EDA’s grant to Bombardier, part of which was to facilitate production of a new airplane, the LearJet 85. Since then, Fernandez has moved on to the private sector, working for a law firm in a role that seems something like lobbying. Unfortunately, earlier this year Bombardier mothballed the LearJet 85 project, with industry observers doubting it will be revived. For more background on the EDA, see Economic Development Administration at Downsizing the Federal Government. As part of my efforts to reduce the size of government, I have proposed to eliminate the Economic Development Administration (EDA), a politically motivated federal wealth redistribution agency. Unsurprisingly, the current leader of that agency, Assistant Secretary of Commerce for Economic Development John Fernandez, has taken acute personal interest in my bill to shutter his agency. Last week, Secretary Fernandez invited himself to Wichita at taxpayer expense and met with the Wichita Eagle’s editorial board. Afterwards, the paper accurately noted I am advocating eliminating the EDA even though that agency occasionally awards grant money to projects in South Central Kansas. They just don’t get it. Thanks to decades of this flawed “You take yours, I’ll take mine” Washington logic, our nation now faces a crippling $16 trillion national debt. I first learned about the EDA when Secretary Fernandez testified in front of my subcommittee that the benefits of EDA projects exceed the costs and cited the absurd example of a $1.4 million award for “infrastructure” that allegedly helped a Minnesota town secure a new $1.6 billion steel mill. As a former CEO, I knew there is no way that a taxpayer subsidy equal to less than one-tenth of one percent (0.1%) of the total capital needed made a difference in launching the project. That mill was getting built whether EDA’s grant came through or not. So, I decided to dig further. I discovered that the EDA is a federal agency we can do without. 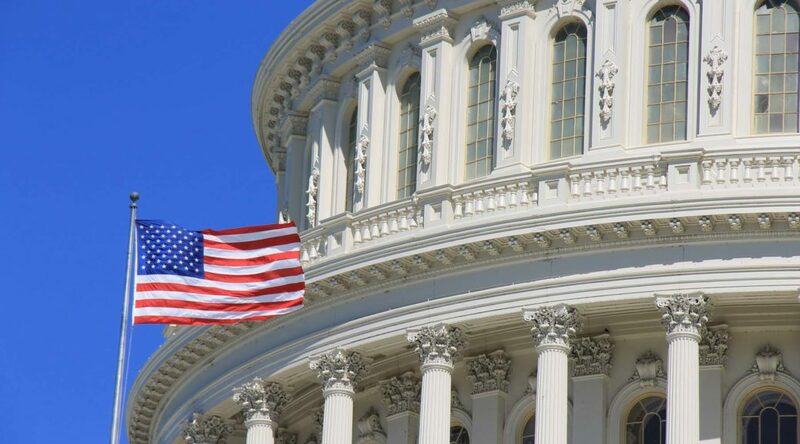 Similar to earmarks that gave us the infamous “Bridge to Nowhere” or the Department of Energy loan guarantee scandal that produced Solyndra, the EDA advances local projects that narrowly benefit a particular company or community. To be sure, the EDA occasionally supports a local project here in Kansas. But it takes our tax money every year for projects in 400-plus other congressional districts, many if not most of which are boondoggles. For example: EDA gave $2 million to help construct UNLV’s Harry Reid Research and Technology Park; $2 million for a “culinary amphitheater,” tasting room, and gift shop at a Washington state winery; and $500,000 to construct (never-completed) replicas of the Great Pyramids in rural Indiana. 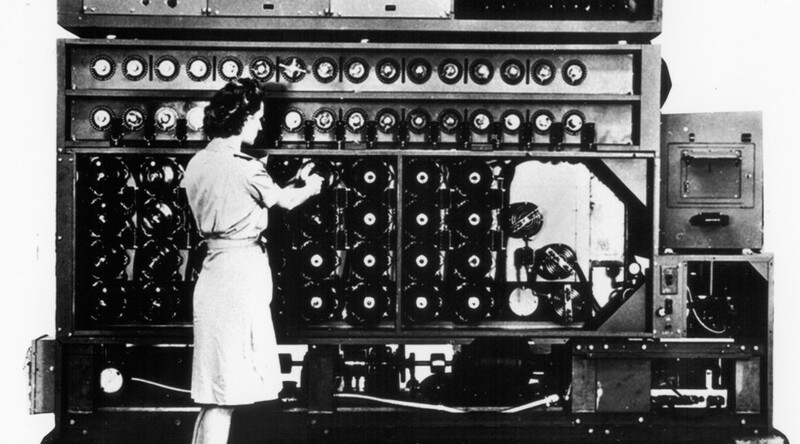 Several times in recent decades, the Government Accountability Office has questioned the value and efficacy of the EDA. Good-government groups like Citizens Against Government Waste have called for dismantling the agency. 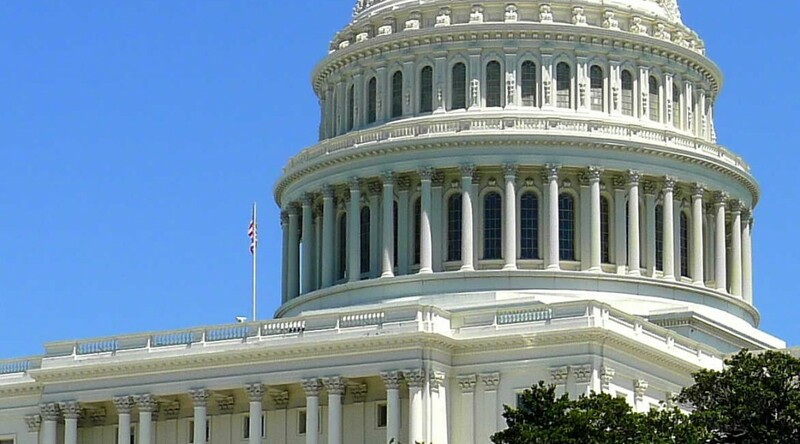 In addition, eliminating the EDA was listed among the recommendations of President Obama’s own bipartisan Simpson-Bowles Deficit Reduction Commission. So why hasn’t it been shut down already? Politics. The EDA spreads taxpayer-funded project money far and wide and attacks congressmen who fail to support EDA grants. Soon after that initial hearing, Secretary Fernandez flew in his regional director — again at taxpayer expense — to show me “all the great things we are doing in your home district” and handed me a list of recent and pending local grants. Hint, hint. You can’t say I wasn’t warned to back off. Indeed, Eagle editors missed the real story here: Secretary Fernandez flew to Wichita because he is a bureaucrat trying to save his high-paying gig. The bureaucracy strikes back when conservatives take on bloated, out-of-control, public spending, so I guess I’m making progress. Please don’t misunderstand. I am not faulting cities, universities, or companies for having sought “free” federal money from the EDA. 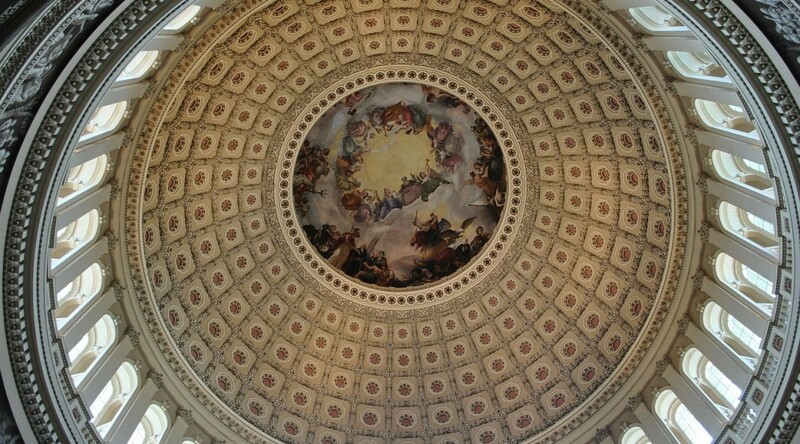 The fault lies squarely with a Washington culture that insists every program is sacred and there is no spending left to cut. A federal agency run at the Assistant Secretary level has not been eliminated in decades. Now is the time. My bill to eliminate the EDA (HR 3090) would take one small step toward restoring fiscal sanity and constitutional government. 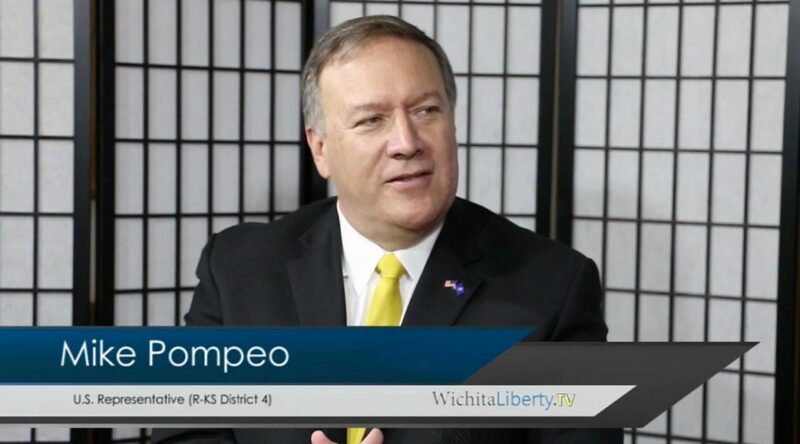 United States Representative Mike Pompeo of Wichita has been appointed to the Select Committee on the Events Surrounding the 2012 Terrorist Attack in Benghazi. 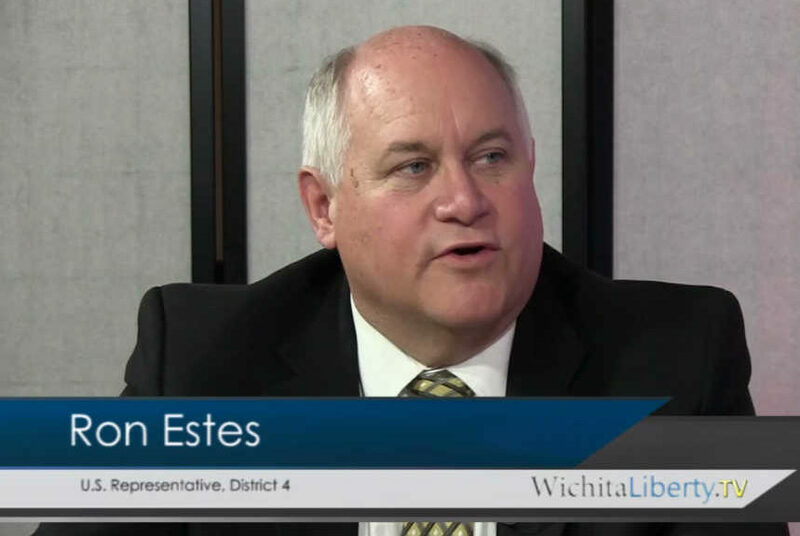 I spoke with him today in his Wichita office on this topic and a few others. 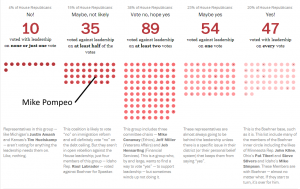 On the composition of the committee — seven Republicans and five Democrats — Pompeo explained that the majority party usually has a majority on committees of this type. A “Select” committee like this has a very narrow charter. The committee will have staff and counsel, and will deliver a report. After that, the committee will disband. Critics of this committee point to the several committees that have already held hearings on this matter and the thousands of documents produced. What can this committee accomplish? Pompeo said that despite all the previous activity, we do not know everything. The Ben Rhodes email that was supplied just last week is an example. Pompeo said the administration has not been very cooperative. The committee wants to learn what decisions were made on September 11, 2012, how were the decisions made, and by whom. While the committee operates in a political environment, Pompeo said that the six other Republicans on the committee (the Democratic members have not been named) are “workhorses,” who will work to come to a factual conclusion. It may be, he said, that conservatives will disappointed in the output of the committee, in that the facts show that there was no wrongdoing or malfeasance. If that is what the facts show, that’s what will be in the committee’s report, he said. It is not known whether Democrats will boycott the committee. Pompeo said it’s important that Democrats participate in the committee proceedings, as this will best serve the American public interest. The decision will be made by Nancy Pelosi, the Democratic leader. As for the committee being a “witch hunt” or simply a political operation, Pompeo reminded me that Speaker John Boehner was reluctant to call for the formation of this special committee. Pompeo said that the Republican members of the committee, except for chair Trey Gowdy, are members with low profiles, and not widely known by Americans. On the situation in Ukraine, Pompeo said the situation remains incredibly intense. The Russians have fomented strife in the region, with a propaganda campaign to create the predicate for a Russian invasion. 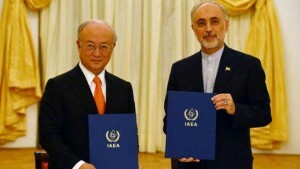 Western Europe has begun to recognize the risk and has started to implement a few more sanctions. Putin’s goal is to reconstruct Greater Russia, he said. 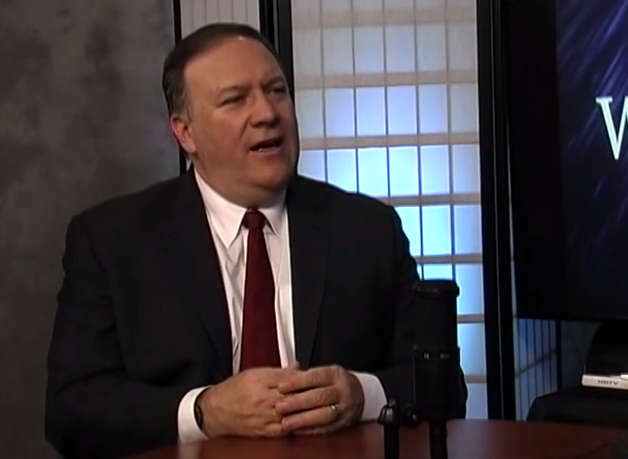 On the subject of Boko Haram, the radical Islamist group that has captured young girls in Nigeria, Pompeo said this is another example of how the war against Islamic terrorism is not over. He said that today there are 8,000 Al-Qaeda in Syria. In 2001, on September 10, there were 200 in Afghanistan. The threat today is far greater than it was 13 years ago, and the Obama administration has thrown in the towel, he said.